Inspired by the Savvy Support Fund, Lisa Bridenbaker of Bridenbaker Designs designed these pretty resin pendants just for the Savvy Shopkeeper online shop! The necklaces are a simple way to display your dedication to being a savvy shop owner. The lettering is in a classic typewriter font and great for layering with other necklaces. The resin pendants are available in a variety of colors and measure over 1” in diameter. Each pendant comes in a gift box with a 26” sterling silver plated chain. 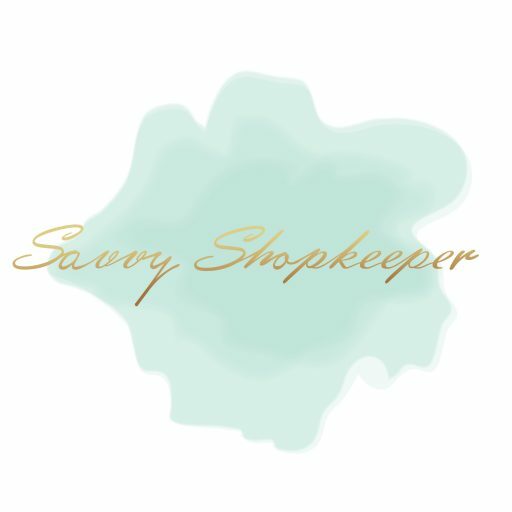 The Savvy Support Fund was created to support shop owners who can benefit from continued education and resources to help them become better shopkeepers. Purchase a Stay Savvy Pendant Necklace today and you’ll receive FREE shipping in the United States. $5 from the sale of each pendant necklace will go towards the Support Support Fund.